Readers, a set on Flickr. Dear Readers so far! And it’s not all! 2013-05-02 21.31.57, a photo by ezhilinsky on Flickr. 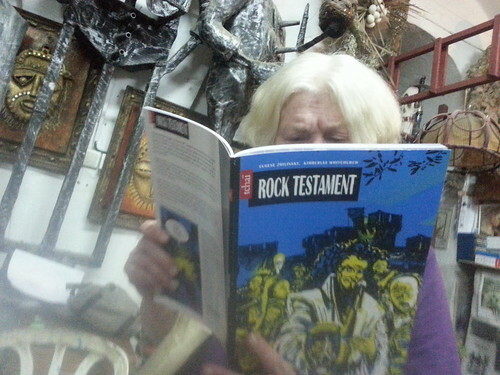 We going to post pictures of happy readers of our latest book “Rock Testament”. And happy owners of their own hard copies too! 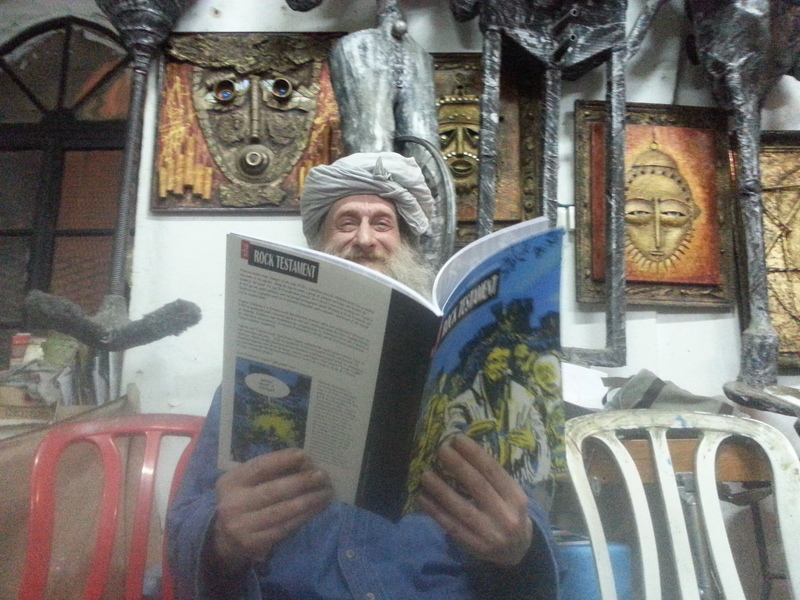 This unique shot shows one of the main character (among others in our latest graphic novel Rock Testament ) who reads the book during recent Edition Tchai reading event and art show organized in Jerusalem in the begining of May this year. Try to find the setting in a book! 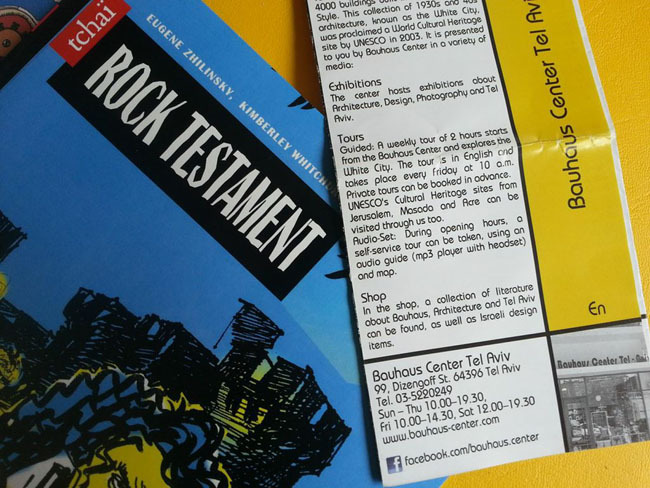 Rock Testament Art Show and Industry Night. The Comic Book Lounge welcomes Eugene Zhilinsky and Kimberley Whitchurch in for a special gallery showing of the original art from Rock Testament on Friday, April 5th. We’ll also be making this an Industry Night Event.